There’s a lot of uncertainty today in the eco-friendly flooring world. What’s really green and what do all of these green certifications mean? 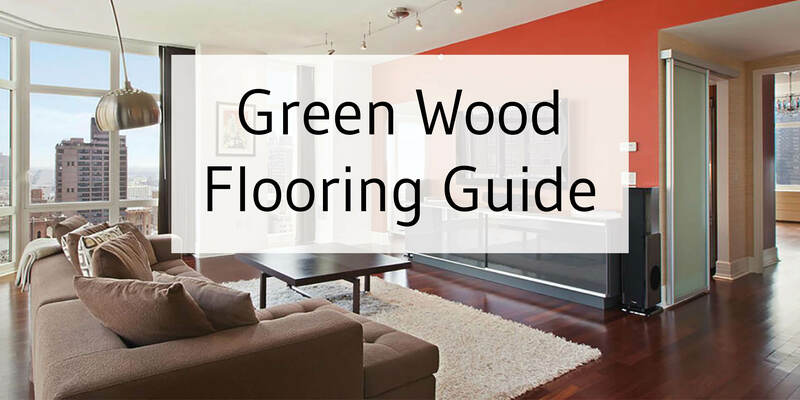 As a longstanding green flooring industry advocate aware of some of the environmental issues in the industry, Tesoro Woods has created a green flooring guide. When shopping for flooring, it’s important to know what makes wood flooring products truly eco-friendly. Recycled wood typically uses by-products or “waste wood” of another manufacturing process. This can be things like sawdust, veneer backing boards or peeler cores that get re-purposed and re-milled into new products. Tesoro Woods labels these flooring products as Recycled Post Industrial. Reclaimed wood usually refers to already manufactured wood products that are re-manufactured into new ones, like wood flooring. Examples of this process include timbers from fences, old crates or pallets that are re-milled. Salvaged wood refers to the direct reuse of wood products that can be salvaged from sources like river or lake bottoms, orchards and forests. Wood products can also be salvaged from doors or timbers in deconstructed buildings. Tesoro Woods labels these products as Salvaged from Building Deconstruction. How can you tell if wood products come from well-managed forests as opposed to irresponsible or illegal sources? The answer lies in the independent certification of forests and forest products. Credible forest certification sets high standards for responsible forestry, audits forests and plantations to ensure that standards are followed. By purchasing certified products, you are supporting truly responsible forestry practices and purchasing green flooring. Tesoro Woods believes that the Forest Stewardship Council® (FSC®) is currently the foremost credible forest certification program. Currently, Tesoro Woods is certified by the FSC® and authorized to label our products with their proper labels, such as FSC® 100%, FSC® Mix, FSC® Recycled and the various current combinations. The US Green Building Council’s (USGBC) main activity is to develop and administer the Leadership in Energy and Environmental Design (LEED) Green Building Rating System. LEED was created in the late 1990’s by pioneers in the green building movement to create a common standard for defining and assessing environmentally-responsible, whole-building, high-performance design and building practices. There is no such thing as a LEED-certified product because LEED only certifies buildings. LEED is based on a system of credits and points. You have to earn a certain number of points to achieve LEED certification for a building. All of Tesoro Woods’ products contribute to a variety of LEED credits that relate to green flooring. The issue of indoor air quality gained attention in the 1980’s when people learned that many building materials emit harmful chemicals into the air which can make people sick. Today, people are concerned with VOCs, volatile organic compounds. When it comes to flooring, formaldehyde is the most common VOC. We’ve discussed VOCs and formaldehyde in depth in our blog post, available here. FloorScore® is a certification awarded by SCS Global Services, the same group that awards FSC® certifications. It states that the certified product has met the indoor air quality (IAQ) certification standard for hard surface flooring materials, adhesives, and underlayments. All Tesoro Woods flooring products are FloorScore® certified and either labeled Low VOC or No VOC according to California’s emissions standards. Learn more about all of the certifications and language Tesoro Woods uses on our products to explain its eco attributes on our Environmental Attribute Guide.